In 2013, numerous artifacts were unearthed in a trench near Kotzebue. In order to bring 3G wireless internet to Kotzebue, Unicom, a wholly owned subsidiary of GCI, connected fiber optic cable from its TERRA tower to the GCI Earth Station. The fiber runs aerially with the KEA power poles until the design called for buried fiber to avoid the airport glide path. In 2013, numerous artifacts were unearthed in this trench on Kikiktagruk Inupiat Corporation (KIC) land. TERRA is the next-generation communications network for Northwest Alaska. In the past, schools, health clinics, and local governments relied on expensive private satellite networks which experienced slow connections, low reliability, and limited capacity. Kotzebue’s connection to the TERRA “backbone” via terrestrial microwave in 2015 increased internet bandwidth and provided 3G wireless for the first time ever. Portions of the TERRA telecommunications “backbone” utilizes lands owned by the Bureau of Land Management (BLM) therefore BLM is leading the mitigation efforts associated with the disturbance of artifacts. A Memorandum of Agreement was signed with the BLM, State Historic Preservation Officer, Unicom/GCI, and the land owner KIC in order to mitigate impacts to archaeological sites and find the most suitable route to lay the fiber in 2015. GCI is paying for the long-term curation of the artifacts at the UAF Museum of the North as well as this website which stores long-lasting educational materials for the community of Kotzebue. GCI visited Kotzebue on several occasions to design the educational project described in the Memorandum of Agreement. 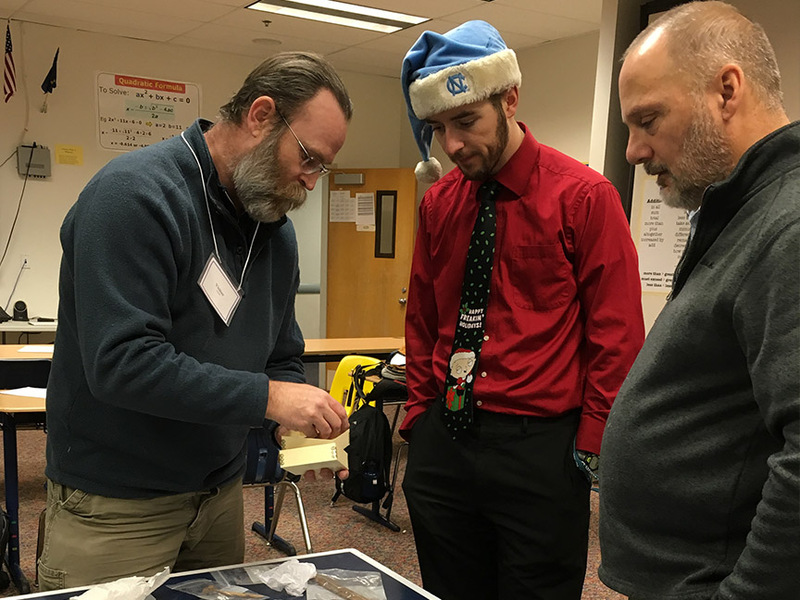 Archaeologist Morgan Blanchard, PhD brought some of the most compelling artifacts to the Native Village of Kotzebue Elder Council, Kotzebue Middle High School, and to a public event at the Northwest Arctic Heritage Center in January 2016. These events gave elders, students and other members of the community an opportunity to interact with artifacts and provide information on their use and significance to the community. The artifacts were placed in the collection of the UAF Museum of the North, Fairbanks, AK. Laboratory analysis and interpretation of the material collected during the GCI TERRA fiber optic cable installation in 2013 and 2015 was completed by Northern Land Use Research Alaska. Artifacts are now stored in perpetuity at the University of Alaska Fairbanks Museum of the North. Analysis of artifacts indicates that the material comes from two previously identified sites, KTZ-00386 and KTZ-00347. Carbon (14C) dating was conducted on one piece of modified bone from each site. The calibrated date for site KTZ-00386 is AD 1210-1275 (about 806 years old), and site KTZ-00347 is AD 1260-1295 (about 756 years old). Based on the artifact analysis and C14 dating, archaeologists have determined that material collected during GCI TERRA fiber optic cable installation is associated with the Thule culture*, the ancestors of modern Inuit. *The Western Thule culture comes from part of the widespread Thule culture that is clearly ancestral to the present-day Iñupiat people. Subsistence was broad-based, with both interior and coastal species. Along the coastal areas, whaling became especially important; late prehistoric coastal material culture shows a well-developed and complex technology based on harpooning whales from skin boats. For more reading, see Dennis J Stanford’s 1976 The Walakpa Site, Alaska: Its Place in the Birnirk and Thule Cultures. Smithsonian Contributions to Anthropology 20. U.S. Government Printing Office, Washington, D.C. (1976).